An epitome of Gaddafi’s eccentricity is the car he designed for himself, which Libya claims is the safest vehicle on earth. However, don’t go into any details to back up the claim. This Saroukh el-Jamahiriya,which means Libyan rocket is the car owned by Colonel Muammar Gaddafi.It is a five-seater saloon with the nose and tail of a rocket and powered by a 230bhp V6. Launched at a conference called the Organization of African Unity and organized by Colonel Gaddafi in 2009, the Libyan Rocket comes with airbags, an electronic defense system and collapsible bumpers that supposedly help out in a crash..The car is loaded with an “electronic defense system. Apparently, no one knows what it is or how it works. 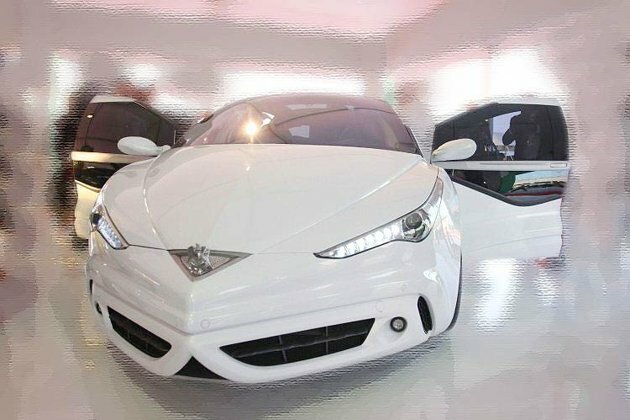 Dukhali Al-Meghareff, chairman of the Libyan Arab Domestic Investment company which produced the prototype, touted it as revolutionary in automotive history. "The leader spent so many hours of his valuable time thinking of an effective solution. 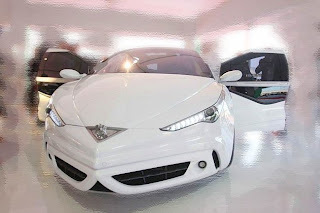 It is the safest car produced anywhere," Mr Meghareff said.